We frequently look at quarterly data. If you want to calculate the fiscal quarter from a date, possibly an invoice date or an order date, and the fiscal quarter starts in a month other than January, use the CHOOSE function. 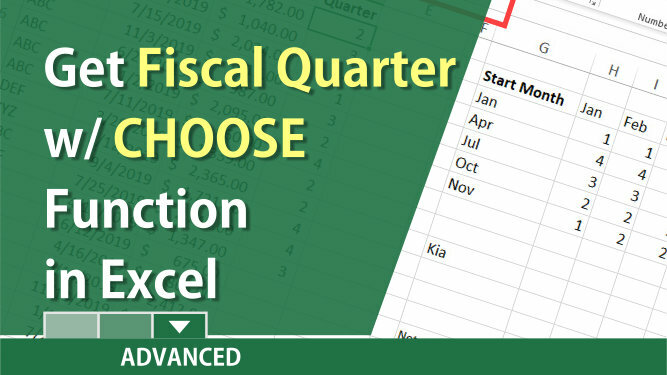 For instance, if the fiscal year is from July to June, you would use a formula based on the CHOOSE function in Excel to get the fiscal quarter. To calculate the quarter when the fiscal year and fiscal month are in January, you can use the ROUNDUP and MONTH functions together. It is easier than CHOOSE and MONTH functions. Here is a screenshot of ROUNDUP and MONTH. The CHOOSE function is an important function, but not frequently used. Here is a great example of when to use it. I have four car companies: Ford, GM, Nissan, and Kia. If I use the CHOOSE function and type =CHOOSE (2,"Ford","GM","Nissan","Kia") the answer is GM since GM is listed second. The same function but now 3 would give me Nissan as the answer. =CHOOSE (3, "Ford","GM","Nissan","Kia"). Nissan is the third company listed. Last example, =CHOOSE(3,"North","East","South","West") would produce South since South is the 3rd region listed. 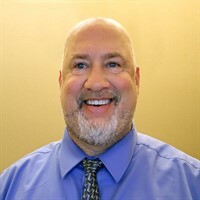 More Information on the webinar, click here.